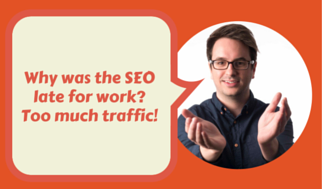 What lies ahead for SEO? 1. Organic Google clicks will fall. By Fishkin's estimations the number of leads that Google generates will drop as much as 5%. This is due to fewer clicks through the Google search. Some customers are moving to Bing as it's the default search engine in Internet Explorer. 2. Twitter and Linkdin will reduce referrals. 2018, Fishkin predicts, will be the year that these two platforms will limit clicks to reduce the amount of external links being reproduced. How does this affect SEO? There will be less opportunity to develop leads as users are rewarded for staying within Linkdin's pages rather than clicking off to your business website. 3. Facebook Ads will continue to grow. This feature allows publishers to create and run advertisements on Facebook, much like Google Adwords. Fishkin believes that this feature will receive significant funding this year which will push ad reach throughout the web. The influence of social clicks, likes and links on SEO will only grow as its hard to fake. 5. Google may announce that customer interaction helps you rank. It has long been thought that Google ranks sites (at least a little) based on how customers use your site. If they leave quickly then this is bad, but if they click through your pages and fill out a form this is good. As always, if you have any questions, send them through! Q. What is Facebook Ads and how do I use it for my business? A. Facebook Ads work a lot like Adwords. You set a budget and a bid per click.